Foreclosure starts rose 12 percent from February to a total of 52,100 in March as later-stage hurricane-related delinquencies began to roll over into active foreclosure starts. This, according to the First Look report on Mortgage performance released by Black Knight on Thursday. The report noted that over two-thirds of these foreclosure starts were in hurricane-impacted areas of Texas and Florida. Foreclosure starts continued to show a decline of 13.6 percent on a year-over-year basis, the report said. Despite this uptick, national delinquency rates were pushed to a 12-month low of 3.73 percent, in March on the back of seasonal effects and continued improvements in hurricane-related delinquencies according the report. Delinquencies declined 13 percent during March, which is typically a calendar-year low for delinquencies. The impact of the tax bill was also felt as many borrowers used refunds from their tax filings to bring their mortgages current. The report noted that serious delinquencies fell by 65,000, and by nearly 20,000 in areas impacted by the hurricanes last year. Nationally, though, active foreclosures declined by 10,000 and were at the lowest level seen since late 2006, the report indicated, with only 321,000 loans in active foreclosure during the month. 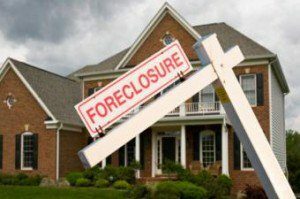 The report noted that the number of properties that were 30 or more days past due, but not in foreclosure fell 286,000 to around 1.9 million. Properties that were 90 or more days past due but not in foreclosure declined 65,000 from February to 632,000 in March. Pre-sale inventory of properties in foreclosure also fell by 10,000 from February to 321,000. The number of properties that were in foreclosure fell by 296,000 to around 2.2 million in March. Mississippi, Louisiana, Florida, Alabama, and West Virginia were the top five states by non-current percentage, while, North Dakota, Minnesota, Washington, Oregon, and Colorado were in the bottom five category.